These cookies are exactly what you’d expect – hot cocoa in cookie form. 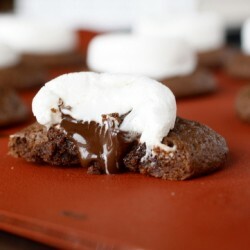 Complete with warm, runny chocolate and a melting marshmallow on top, they are absolutely delicious! Of course they’re best warm out of the oven when everything is nice and gooey, but we found that just a few seconds in the microwave (or a few minutes in the oven if you’re serving a bunch) will bring back that perfect melty texture. In a medium bowl, whisk together the flour, cocoa powder, baking powder and salt. Set aside. In a large bowl, beat the sugar, eggs and vanilla at low speed until smooth, 2 minutes. Mix in the cooled chocolate mixture just until blended. Add the flour mixture in 2 batches, mixing on low speed until just combined. Position a rack in the upper third of the oven; preheat to 325 degrees. Line a large cookie sheet with parchment. Using a tablespoon, scoop the dough and roll between your palms to form 1-inch balls. Arrange about 16 balls 2 inches apart on each cookie sheet, flattening slightly. Bake until the tops of the cookies crack, about 12 minutes. 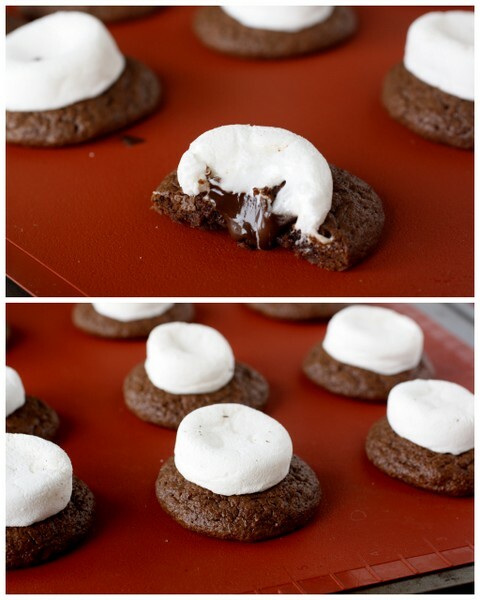 Remove the cookie sheets from the oven; gently press a marshmallow half, chocolate side down, into each cookie. 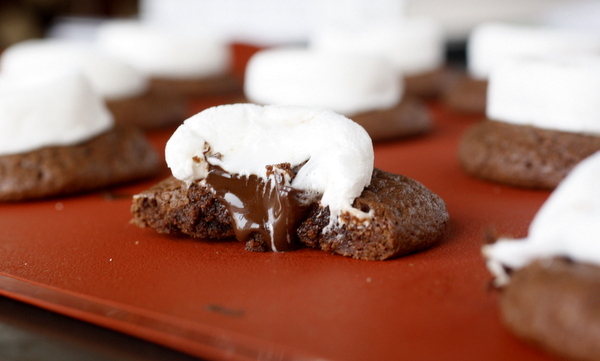 Bake until the marshmallows are just softened, about 4 minutes. 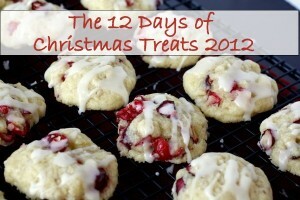 Transfer the pans to racks to cool for 5 minutes; Using a spatula, transfer the cookies to the racks to cool completely. Repeat the process with the remaining dough, marshmallows and chocolate, baking each batch on a clean sheet of parchment. What a great idea for cookies! Love how melty the centers are! What a fun idea! They looks tasty. I am pinning these for later. Heaven in melty and gooey form – yum! So cool! Love that you always add your personal notes to the recipes! Thanks! I want to gobble that big gooey marshmallow right up! these look incredible! love that melty center. 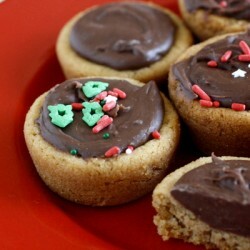 Do you think these cookies would be ok for a cookie swap? I wasn’t sure since they’re probably better fresh out of the oven right? The swap is at work on Tuesday and I wanted to make ahead the dough today (Sunday). Is there a better recipe of yours that you reccomend? That works as a freeze ahead dough type? They are definitely better warm, either out of the oven or microwaved, so probably not the best for a cookie swap. 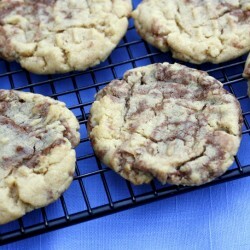 I’d recommend either fudge kiss cookies or chocolate truffle cookies – those are always popular! These turned out great! They are super duper rich, so one or two goes a long way. I used the same parchment paper for every batch and didn’t see or taste any adverse effects. These look amazing! 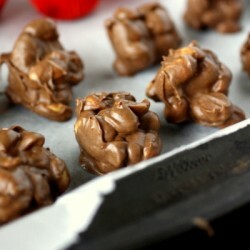 I’m adding them to my Christmas cookie list!